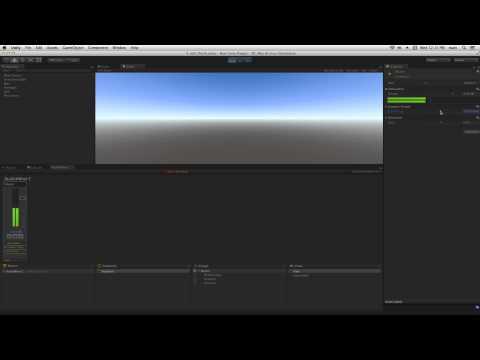 In Unity it's possible to process audio signals in an AudioMixer Group using Audio Effects. In this Lesson we'll process our music using Low Pass Filter and Distortion audio effects and learn how the order Audio Effects are applied in changes the signal. or the dynamics of their volume. to a group in an audio mixer. of a different element of a musical track. All of these are routed in to audio mixer 1.
and thereby control the volume of the master group. in the volume parameter in the inspector. when we exit play mode. add them from the drop down menu. We're going to add a low pass simple effect. frequencies above the cut off frequency. If we play our project. We can hear that the high frequencies are attenuated. Audio effects are applied sequentially. the low pass simple effect. and listen to the resulting signal. which were not previously present in the signal. and then new mid and high frequencies are added. the distortion in the signal chain and we can listen to the effect. through the low pass simple effect. Let's check out another example. which you can download from the assets store. added a low pass filter effect. save and recall the settings in the mixer. all the way up at 22000hz. In the Paused snapshot we've pulled it down to 365hz. when the paused snapshot is called. also controls the transition to these snapshots. Let's check this out and hear how it sounds. And then press escape again to resume. the player about the game state.